Introducing Instabook – A unique Instagram photo book that you may not find anywhere! We are excited to announce our new photo book service called Instabook. This unique photo book is an Imagesmith creation that may not find anywhere. We put our effort in making a functional layout that will make your book viewer amazed in real-time. Each Instabook page features your Instagram’s unique shortened URL’s, Geo locations, QR codes for real-time comment and like updates. Of course the quality of this photo book is the same as our PictureBooks with the awesome free nationwide delivery. Our Instabook is available in 2 sizes. The 6in X 4.5in is Php 1,295 while the 8in X 6in is P1,495 all printed in standard 32 pages (170 gsm) with hardbound cover and a free cover wrap. Other options like extra pages and heavier paper weight can be found here. @boxofhobbiesph on Introducing Instabook – A unique Instagram photo book that you may not find anywhere! 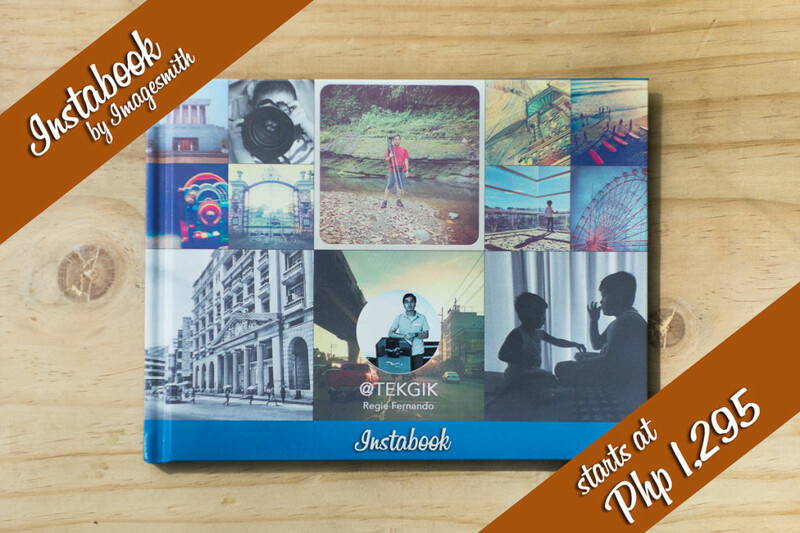 @tekgik on Introducing Instabook – A unique Instagram photo book that you may not find anywhere!